Users of Chromebooks and tablets with screens larger than 10.1" will soon be unable to run full Microsoft Office Mobile apps free. Larger devices will support a free version of Office that works as a document viewer, but will be unable to print, edit or create documents without an Office 365 subscription. Android apps first became available for Chromebooks in June this year, but Microsoft has only just announced that it will be limiting its free apps. "On devices larger than 10.1 inches, an Office 365 subscription is required to unlock the ability to create, edit, or print documents," the company said in a statement to 9to5 Google. The news is an extension of Microsoft’s existing policy on screen size, which attempts to distinguish between mobile devices that are only suitable for personal use, and full-fat devices that can be used professionally. 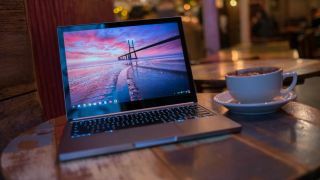 If you’re looking for free office software for a larger Chromebook then Google Docs is the most obvious choice, but there are other options. WPS Office + PDF is a mobile version of the excellent desktop software of the same name, and Polaris Office + PDF (installed on many Android devices as standard) provides almost all of the features you’d expect from Microsoft’s mobile apps.